A great DJ will revolutionise your party - shifting the mood with a fantastic selection of sounds and beats to get people heading for the dance floor. Natural exuberance and the ability to lift, shift and redirect energy are just a few of the skills necessary for a top Party DJ. A dedicated DJ will discuss options on play lists to create that all important atmosphere which is the bedrock of any great party. They'll pick just the right records and beats that are guaranteed to get people up on their feet. Finding and hiring a Party DJ is simple! You can then revel in the party mood too - safe in the knowledge that your DJ is at the helm, steering the ship to party town! If you are booking a DJ for a party read more information about what's involved. Find a Party DJ for hire near you in minutes! Option 1. Enter your event location below & contact a Party DJ directly! Option 2. Request multiple quotes from available Party DJs Get Quotes! Option 3. Read information & advice on hiring Party DJs Read Advice! A party really isn’t a party without music. There really is no better way to create precious memories and have fun than letting loose and dancing the night away with your friends. In fact, the therapeutic qualities of dancing have been well researched, and it’s understood that moving to music releases all kinds of happy chemicals in the body, allowing us to relax and feel good. A Party DJ is the perfect act to cater to the varied tastes of your guests, as they are experienced in judging each individual audience. They have a sixth sense, seeming to know exactly what tracks to play, to bring out the dancer in everyone. They also have the right audio and lighting equipment, to ensure that the music sounds great and you can enjoy a genuine party atmosphere. Perhaps you’re planning an event where guests don’t know each other. A professional DJ is skilled at breaking the ice, making everybody feel comfortable, and enticing people to take their first steps onto the dancefloor - and once they start to move, there’ll be no stopping them! Whether you’re planning a birthday party, social club night, drinks reception, office celebration, hen do, bar mitzvah or community event, this is a great choice. So, get that glitter ball spinning and take a look at our brilliant DJs for parties. They’ve got the tunes and the know-how to make your party sparkle and shine. For more detailed information on the different types of DJ available for all kinds of events, set up requirements, what to look for and how to book, read our Complete Guide to Booking a DJ. The main consideration when choosing a DJ is the type of music you and your guests enjoy. Most Party DJs can cater to a wide range of tastes, adapting their playlists to suit each occasion, appealing to all of your guests and keeping the dance floor full. Generally, they will play a mix of current chart hits, disco, Motown and party classics. If you have a very specific genre in mind, such as club anthems, rock ‘n’ roll or swing music, it would be a good idea to look for a DJ that specialises in your music style. Another thing to think about is how much talking and audience interaction you want. Some DJs focus on playing music and talk very little or not at all. Others specialise in chatting to the audience, making announcements and even hosting party games. Whichever style will suit your party, you just need to state your preference when booking and make sure that your DJ is happy and comfortable with the type of entertainment you want. To ensure you’re getting a quality DJ that’s going to deliver great entertainment for you, read the testimonials on our Party DJ profiles, where you can also see each DJ’s level of experience. If they have played at lots of events similar to yours, that’s a good indication that they’ll be right for you. Check out our Nightclub DJs, Karaoke DJs and Wedding DJs. who can be booked for specific types of parties. Our amazing DJs have the decks, the tracks and the whole party package for whatever kind of event you’re planning. HOW MUCH WILL A PARTY DJ COST? Hiring a Party DJ is a great option if you have a limited budget, as they are generally cheaper than booking a live band. That said, the price will vary depending on their level of experience, how far they have to travel to your venue, the number of guests at your party, the quality of their equipment and the size of their music collection. You can pay anything from £300 ($300 in the U.S. and 400€ in Europe) for a local party DJ to £1000+ for a high profile DJ with the best equipment and lighting. Typically, a good, professional DJ will cost between £400 and £600 ($600 in the U.S. and 700€ in Europe). If your chosen DJ has musicians or singers included in their act, or you’re booking at high-demand times such as Christmas and New Year’s Eve, you can expect to pay more. We believe it’s worth paying for a reputable DJ who will deliver great entertainment at your party. They will be the focal point of your event, so quality is key. A good Party DJ will not only play the right music but they will also provide high quality sound and lighting. You need a decent PA system that can bring out the bass without needing to be too loud, or causing distortion. They can provide mood lighting as guests arrive and then use colourful disco lights as the party gets into full swing. Hiring a professional will make for a truly successful party experience. The quickest way to find the right DJ in your area is to use our simple search function. Just add your location and click search to see a huge variety of acts to choose from. Our latest testimonials are also a fantastic way to start getting some ideas for your shortlist. Once you’ve found your ideal act, just contact them direct. Even better, if you would rather entertainers came to you, you can request multiple quotes here, and this service is completely free! 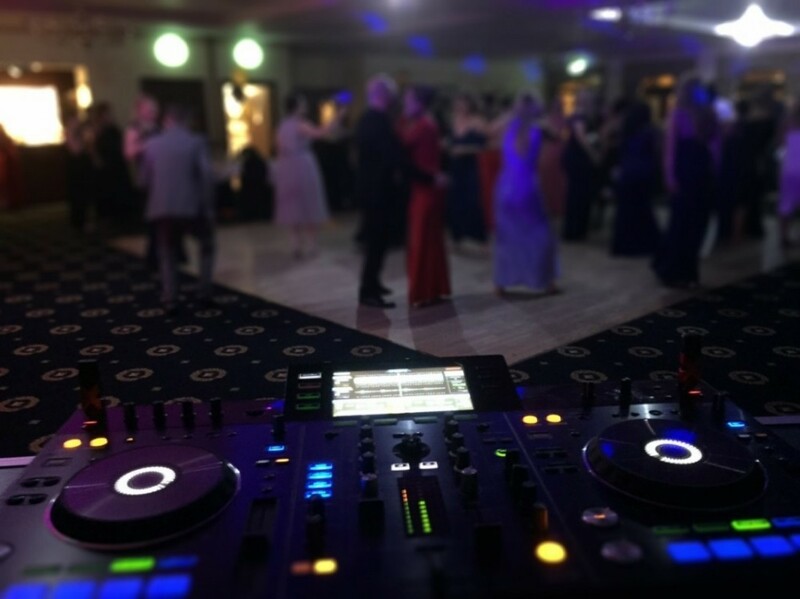 Booking a DJ can make all the difference to your party, and we know we have exactly the right act on here waiting to fill your event with energy and smiles. We hope you enjoy your search but do contact us if you need any help with your booking.